A silhouette is an outline drawing, or a profile portrait cut from black paper. The word arose in the late 1700s when Etienne de Silhouette, a French minister of finance, imposed high taxes on the French upper classes during the Seven Years War. 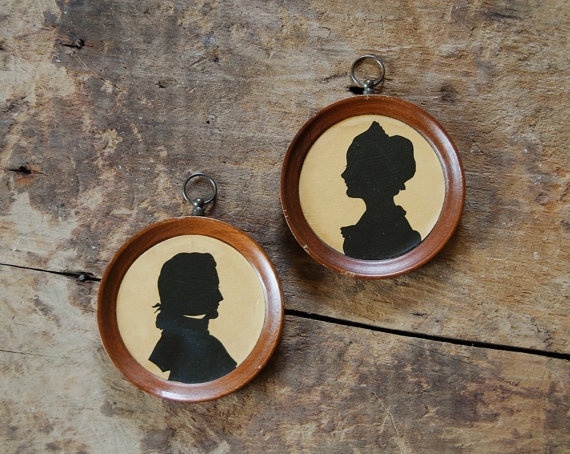 Because painted portraits were too pricey, these profile cut outs were an inexpensive way to immortalize a face. At the time, Silhouette’s name was synonymous with anything made cheaply, but for these paper portraits the name stuck to this day.